The project aims at strengthening the integration of health and social care services in order to improve the quality of assistance for frail elderly. The project builds on the knowledge base of the Information System on Social Services for Non Self sufficiency. The expected output of the project is the enactment of a National Plan for the Integration of Care and of the related Guidelines and there are many primary results expected from the project, above all: raise awareness, reduce caregivers’ burden, support ageing in place. The AIDA project is coordinated by Liguria Region and involves public entities and national and international NGOs actively dealing with the integration of social and health care services for older persons. The project is supported by a number of associated partners. • Popolazione anziana e strategie programmatorie in tema di salute - Progetto AIDA - Advancing Integration for a Dignified Ageing. • Sintesi dei modelli organizzativi dei Distretti italiani - Regione Liguria - Interventi sanitari, sociali e sociosanitari approfondimento su alcuni percorsi relativi alla non autosufficienza. • Percorsi di dimissioni ospedaliere protette nelle Regioni italiane - Regione Liguria - Le buone prassi. 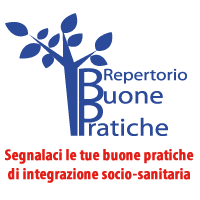 • Linee guida per l’integrazione socio-sanitaria (Italia) - Formazione degli operatori distretti socio-sanitari di Liguria e Veneto – slide a cura di Loredana Ligabue. • Transferability report - in English. • Report di trasferibilità - in italiano. This project (VS/2011/0052) is supported by the European Union Programme for Employment and Social Solidarity - PROGRESS (2007-2013). This programme is implemented by the European Commission. It was established to financially support the implementation of the objectives of the European Union in the employment, social affairs and equal opportunities area, and thereby contribute to the achievement of the Europe 2020 Strategy goals in these fields. The seven-year Programme targets all stakeholders who can help shape the development of appropriate and effective employment and social legislation and policies, across the EU-27, EFTA-EEA and EU candidate and pre-candidate countries. For more information see: http://ec.europa.eu/progress. The information contained in this website does not necessarily reflect the position or opinion of the European Commission. The Commission is not responsible for any use that may be made of the information contained in this website.